Often hunters tend to overkill on planting, but if the 40-60 acres contains wild blackberries and other naturally-occurring plants like forbs and briars, you won’t have to do much planting. 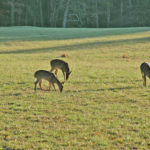 When mowing a pasture, don’t mow down the natural foods that provide ideal cover, a reliable food source and habitat for deer. * Fertilize Native Plants – Fertilize natural plants with commercially-prepared fertilizer to increase the amount and the quality of food these plants will produce. * Use Hinge Cutting – Next clear, and plant fields and woodlots without destroying the plants already providing food for deer. 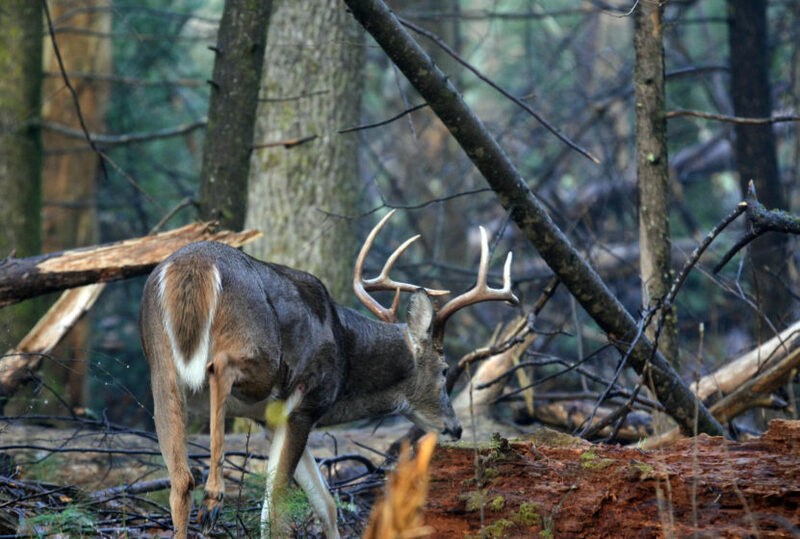 If you’re leasing the property, and the landowner gives permission to cut the trash trees (trees with no timber value) less than 6 inches in diameter in the mature hardwood stands, this practice can create ideal deer habitat and increase the browse for deer. Many hunters practice this hinge cutting, the process of cutting trees with no economic value and letting the tops of those trees fall over, leaving the tops still attached to the trees. 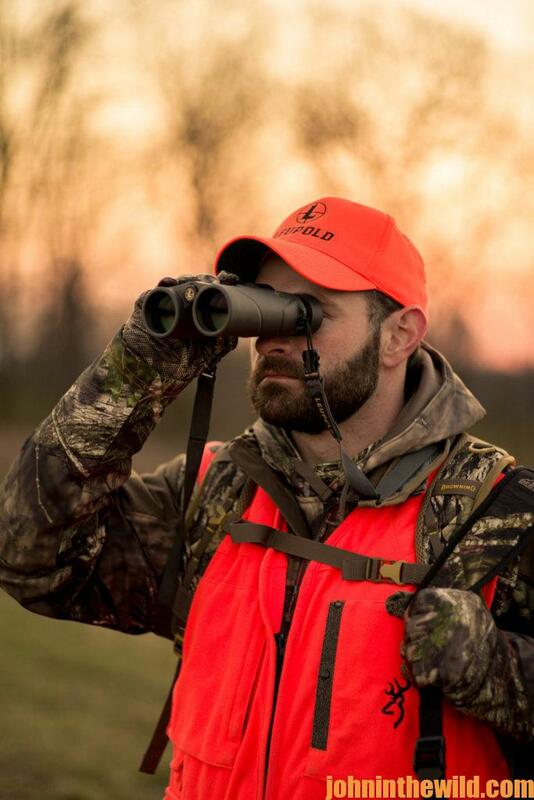 Hinge cutting makes open areas thicker and creates feeding, bedding and cover for deer. Hinge cutting also enables mast-producing trees to receive more nutrients and water to produce more acorns and soft mast for the deer. You can find several YouTube videos on hinge cutting. Sometimes after creating hinge-cut regions near croplands or in a hardwood forest, you may start seeing more deer show-up. To hinge-cut non-valuable trees, use a chainsaw, and cut into the tree, but not all the way through. Use a wedge like one you use to split logs, and drive that wedge into the cut you’ve made on the tree with the chainsaw. As you drive the wedge into the tree, the top part of the tree falls over but doesn’t break off. Then the top of the tree is on or near the ground, and the deer can get to those new leaves in the upper half of the tree and feed on them. 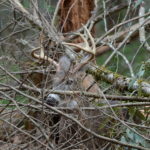 You’ve also created a brush shelter that the deer can walk under and bed under for many years and be out of the weather. If you hinge-cut trees along a property line, your neighbors can’t see into any green fields that you may have on the edges of the property line. 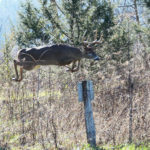 You’re not only providing food, cover and sanctuary for the deer on your land, but also for the older-age-class-bucks that hunting pressure drives off your neighbor’s property onto yours. Using this form of cutting, the tree will stay alive for several years and put on new branches and new leaves every year. By cutting a good number of trees in the same section of land, the limbs from one hinge-cut tree will support the tops of other trees that are hinge cut close to it. 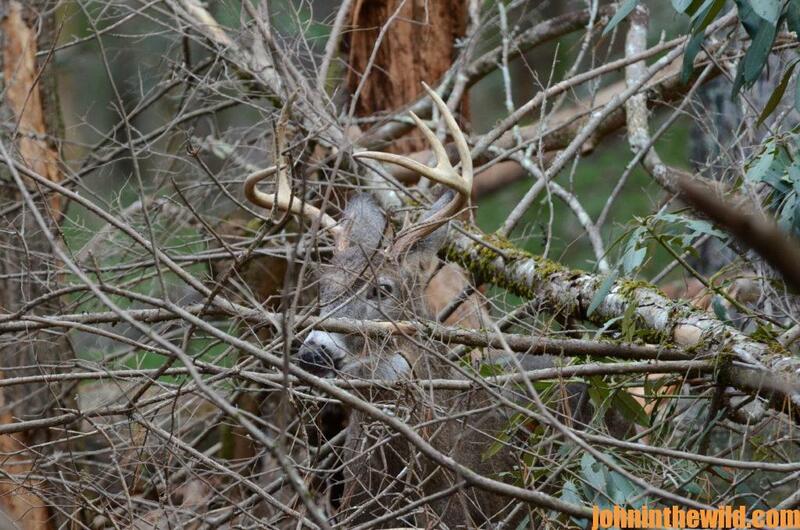 Often after hinge cutting, you may start seeing bucks on your property during daylight hours. Another way landowners use hinge cutting is to hinge-cut a line of non-valuable trees that lead up to a food plot. This way, the deer have cover and bedding sites close to their food. They can walk under those hinge-cut trees and not be seen until they step out into the green field. Most people hinge-cut in February, but some may do some hinge cutting before and during deer season and then put-up a trail camera there. 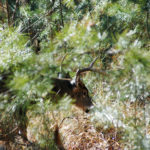 Often, by the next morning, there will be pictures of deer feeding on the leaves and the branches of the tops that have fallen over. * Fertilize Nut Trees – Another way to develop your lease is to fertilize nut trees on the land by digging holes 3-feet apart and 3-feet deep, starting at the base of a nut tree and extending out to the outermost branches of the tree on all four sides of the nut tree. Fill the holes 2/3 of the way full with 13/13/13 fertilizer. Put the dirt back on top of the hole. Then when the rains come, that fertilizer will go down into the tree’s root system and not only help the tree produce more and bigger nuts, but also sweeter-tasting nuts than any other trees in the area. 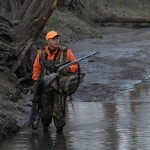 By fertilizing, hunters can improve the taste and the quality of greenery as well as acorns on a small lease. 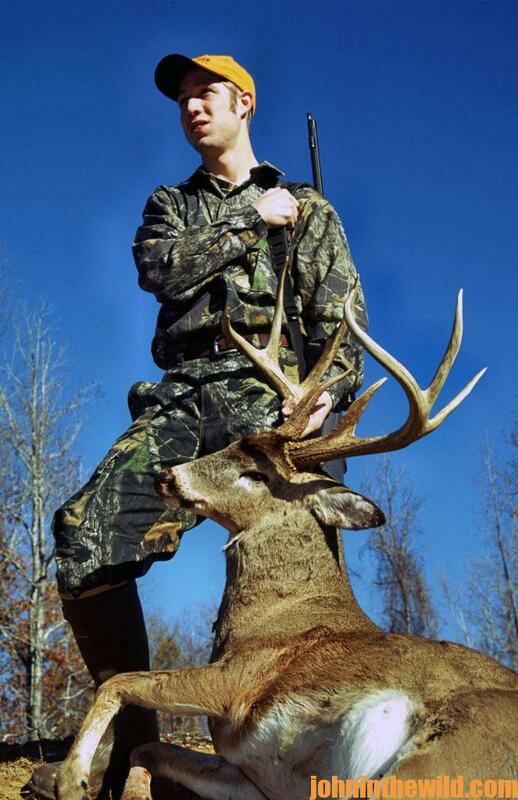 Deer always tend to feed on the highest-quality and best-tasting food they can locate. 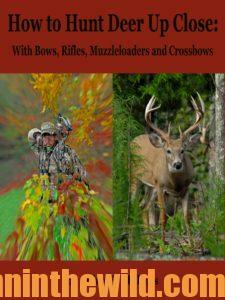 To learn more about hunting deer, go to John E. Phillips’s book, “How to Hunt Deer Up Close with Bows, Muzzleloaders and Crossbows,” available in Kindle, print and Audible versions at https://www.amazon.com/dp/B00A2A6ZG6#. 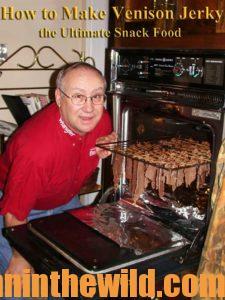 To receive your free book on “How to Make Venison Jerky,” go to https://www.dropbox.com/sh/itouigq8uvrh8u1/AADtiETp26LJ3uWNq__ioKrGa?dl=0.